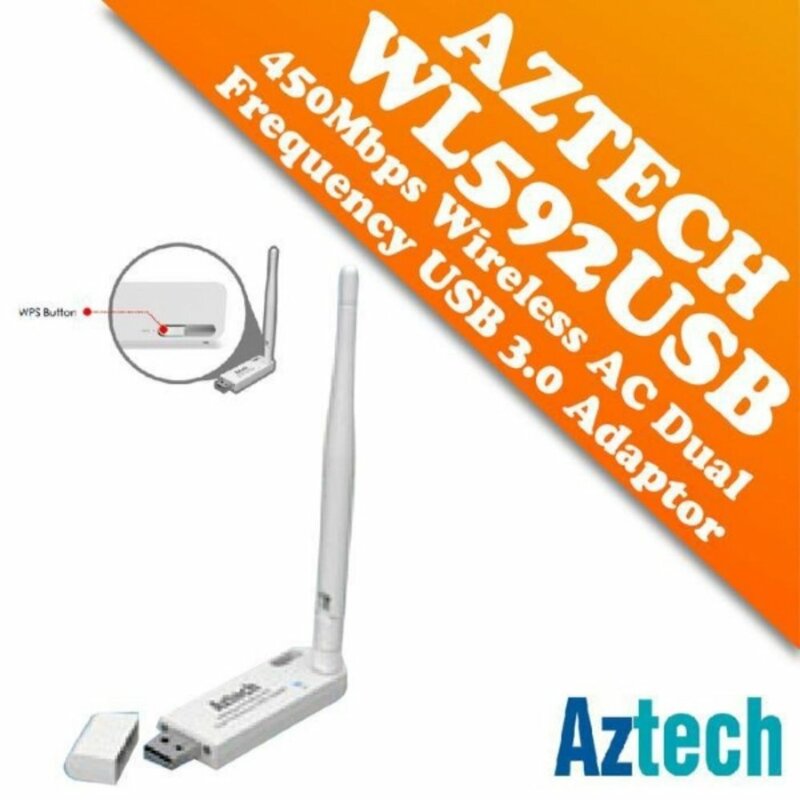 Aztech WL592USB Wireless Dual Band AC USB 2.0 Adapter complies with IEEE 802.11ac/a/b/g/n standards, and is designed to provide up to 450Mbps high-speed and unrivaled wireless performance for your PC. With a faster wireless connection, you can get a better internet experience, such as downloading, gaming, video streaming and so on. With the media player which has the adapter driver, you are also able to make your media player wireless ready. 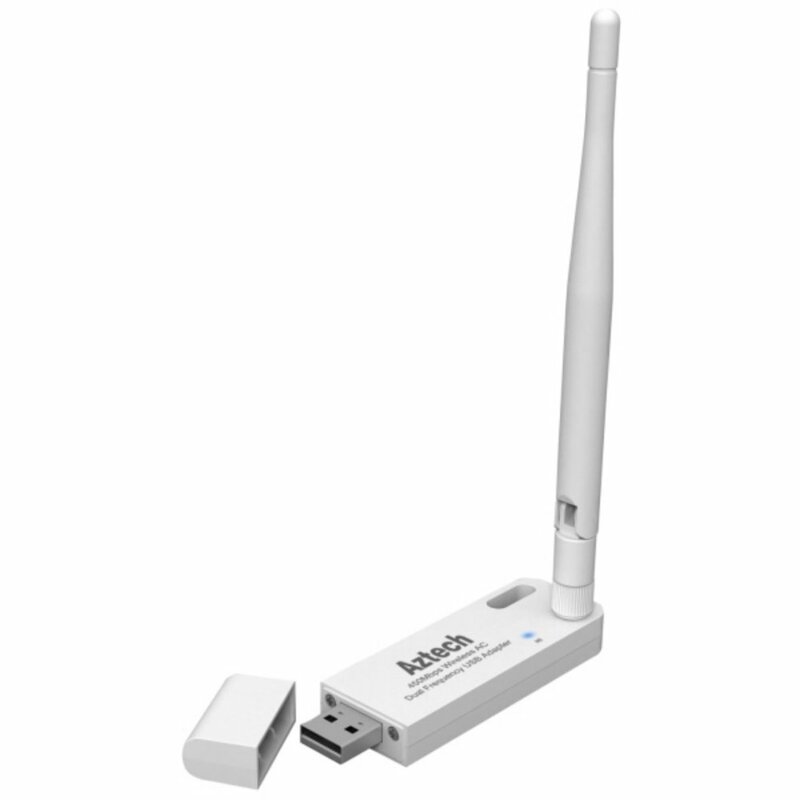 The WL592USB comes with one 1.5dBi detachable antennas which provides unrivaled wireless performance and enhanced the wireless signal for farther range of the wireless coverage. It also allows you to flexibly change to even higher gain antenna for better performance. The USB adapter adopts MIMO technology, which can bring a faster, wider, and more stable wireless experience. Aztech WL592USB supports 64/128-bit strength WEP encryptions, as well as WPA/WPA2 encryptions and mechanisms encryption to prevent outside intrusion and protect your personal information from being exposed.